THERE was a note of sadness on the last day of term at The Tynings Primary because staff and pupils were saying goodbye to their singing champion Pam Cottee, who has retired after 24 years at the school. 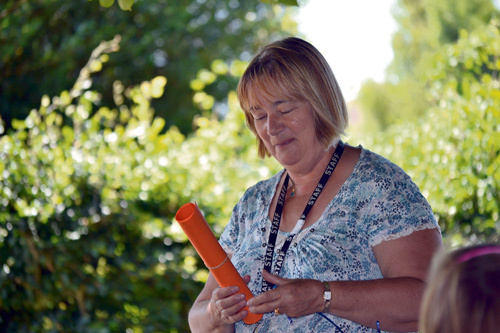 Many families in Staple Hill and Mangotsfield will have memories of lessons with Mrs Cottee, who has taught many children of her former pupils. She started teaching in 1973 in Pilning and worked in a number of schools in South Gloucestershire before moving to The Tynings in 1989. Mrs Cottee, who lives in Mangotsfield, has prepared school choirs for countless public performances and was instrumental in The Tynings becoming one of the few schools to achieve the platinum Sing Up! Award, an achievement acknowledged by inspectors during a recent Ofsted visit.